Thanks to all our seasoned friends and to our new ones, we had a great Christmas Sale. The weather was beautiful, the wassail was fragrant, the house was full of wonderful vintage and handmade Christmas items, and the shoppers were on a mission for that just right vintage or antique find for someone special. 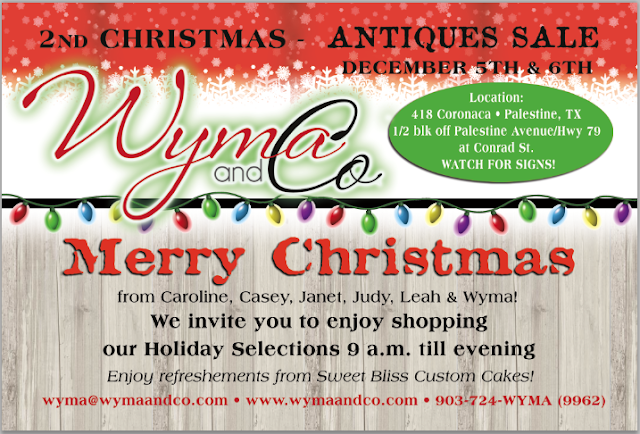 Listed below is a Save the Date for our Christmas in July Sale. 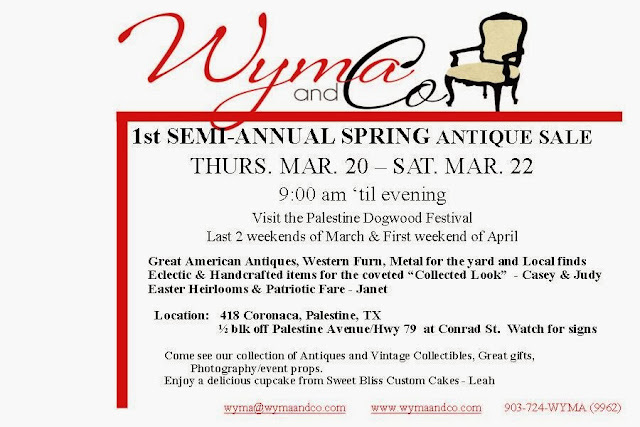 All the antiques, vintage and fun decorator items in the house and yard are marked down to make room for all the wonderful finds we have been gathering for Wyma & Co.'s 2nd Annual Fall Show in October. 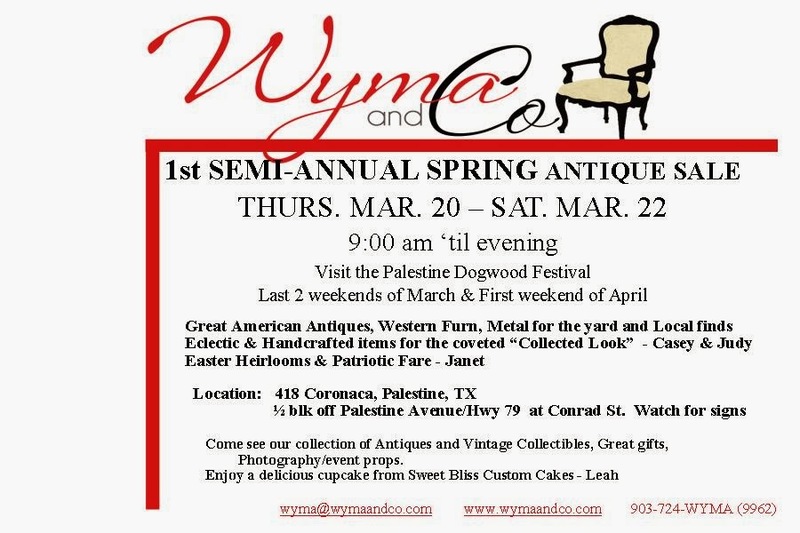 We have been on several buying trips, attended some really great auctions, and acquired some wonderful road side finds. We will be offering these items in the fall and need to make room for all of them. Don't miss out on this wonderful sale. 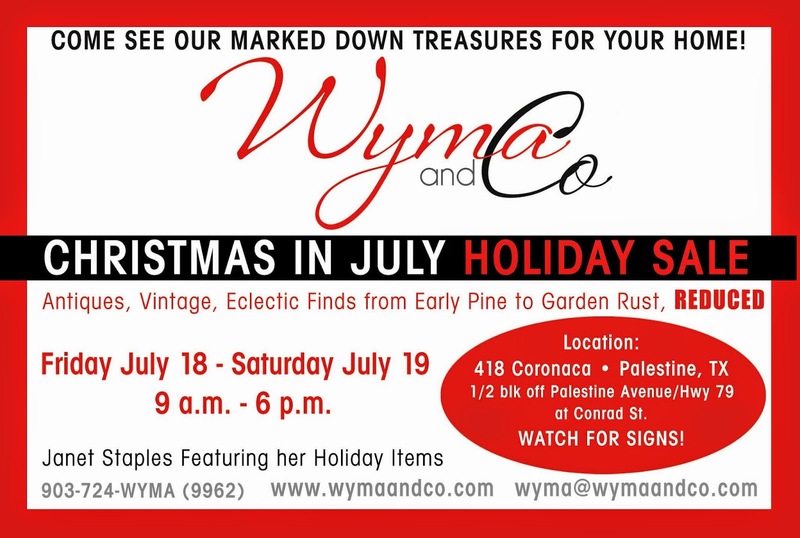 WYMA AND CO. - CHRISTMAS IN JULY - HOLIDAY SALE! !